This blue camel is made of meenakari metal. 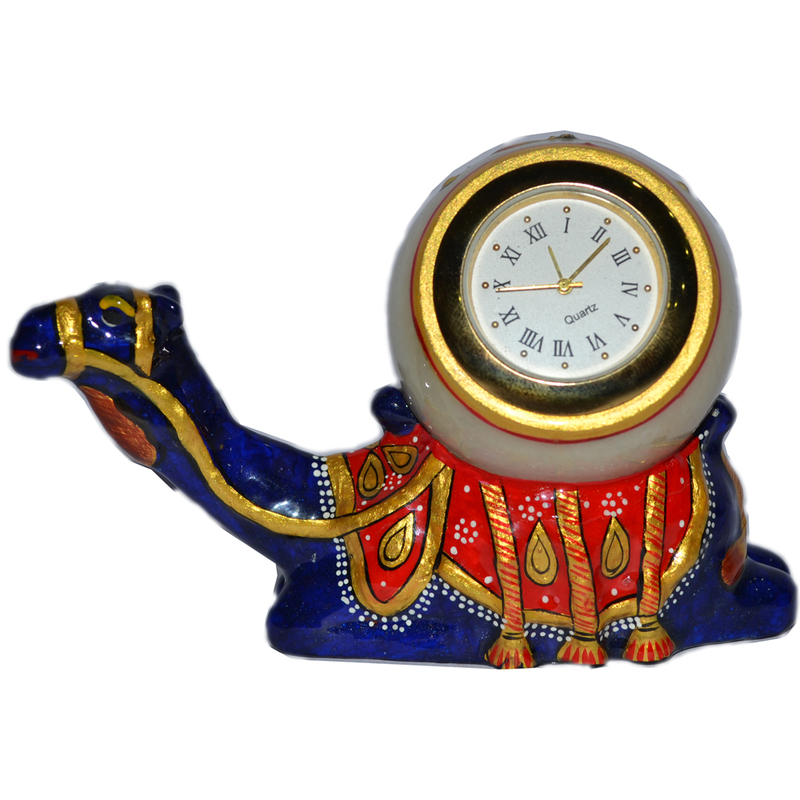 The camel is seated and is adorned with a circular clock on its watch. It is not Read More..only a showpiece but also a useful for checking time. It has aristocracy all within itself which helps to decorate a place with classic style. The vibrant blue and orange color make it very interesting. It can help change the look of the place where it will be kept. Show Less..